We offer 4, 5 or 6 string electric bass lessons as well as upright string bass. So, it doesn’t matter whether you’re planning to play in school orchestra, jazz band or the rock band in the neighborhood – we got it covered! 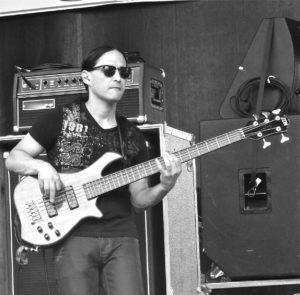 Our bass instructor graduated from the Berklee College of Music and has a ton of performance experiences under his belt, that encompass many music styles. And, BTW – bass players are in demand! Many of our students have gone on to perform throughout adulthood, but also teaching privately, or in school systems. Many have or are now writing, recording and releasing their own material.